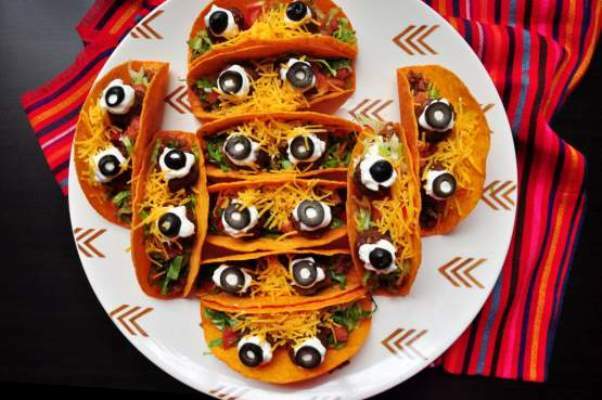 Mexican Spooky Eyeball Tacos recipe shared by RecipesnFood. Have you every Halloween themed tacos on any Halloween Party. If not, then give them a try. 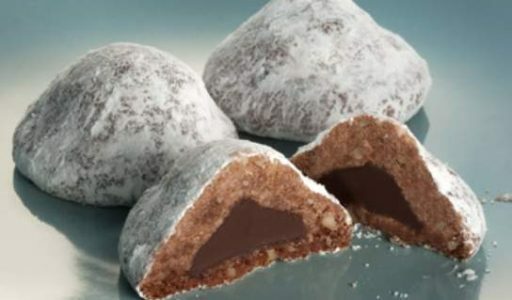 They are a perfect Nasty Treat for a Halloween Get Together/Party or a Halloween Kids Treat. Mix meat and seasoning mix. 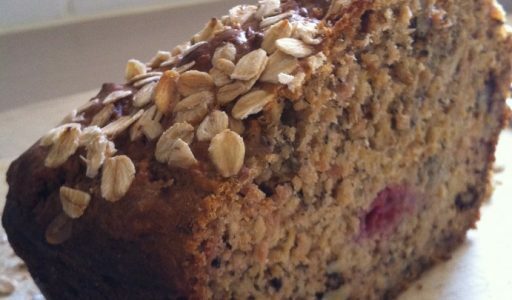 Shape half of the mixture into 24 (1-inch) balls; place in 15x10x1-inch baking pan and bake at 350 F for 15 to 20 minutes or until cooked through. Brown the remaining seasoned ground beef and add salsa. Fill each taco shell with a thin layer of ground beef, sour cream, lettuce, and tomatoes. Position 2 meatballs inside the taco shell and add a dollop of sour cream to each. Garnish with olives to make “eyeballs.” Spread the cheese out along to the top for stringy hair.